Deep purple/navy/teal mottled background batik with woodblock style medallions. 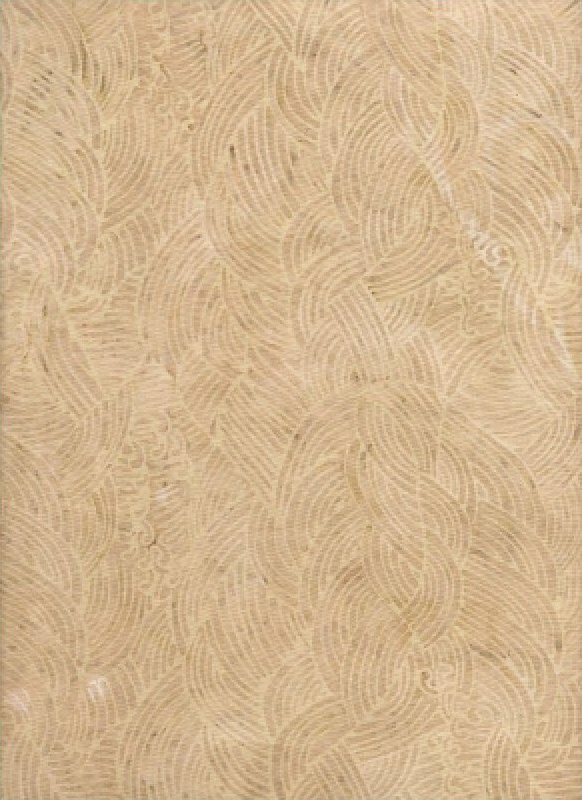 This wonderful khaki hand dyed batik has a gorgeous woodblock stamp in ivory that makes it appear as though the fabric is braided. 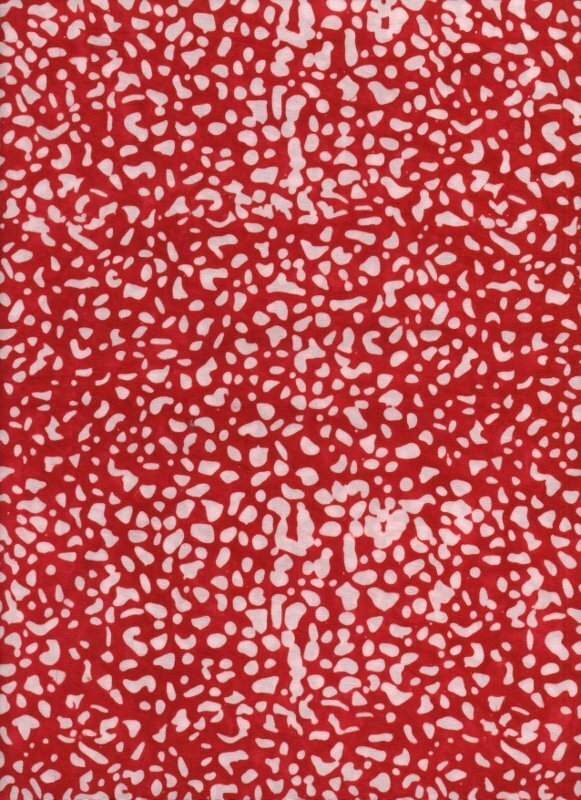 It reminds me of a freshly-baked loaf of braided bread -- gorgeous! 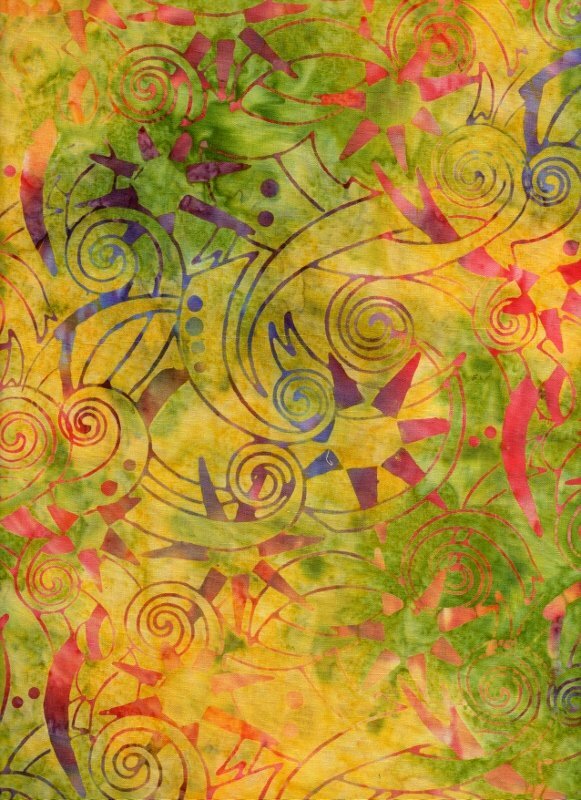 From Blank Quilting's Sumatra line, this is a fantastic "sunny" batik, with hand-dye background in yellows and greens with swirls and suns block printed in bright colors. 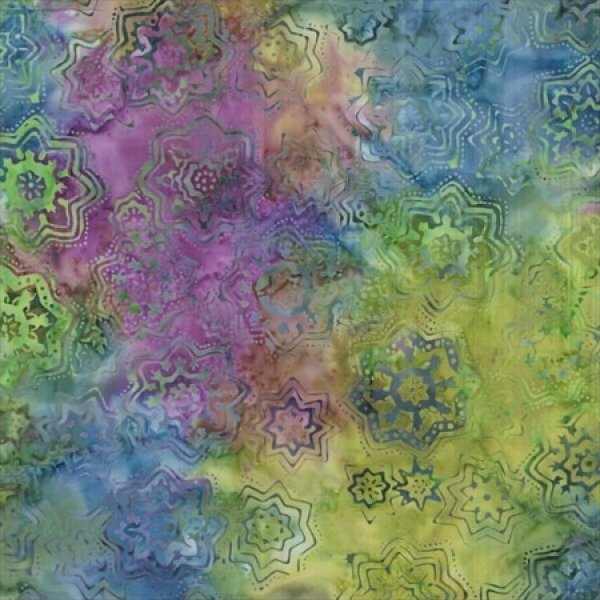 This gorgeous batik print from Blank Quilting has a wonderful variety of colors on a concrete mottled background ranging from dusty blues to grays to taupes. Wonderful blender! 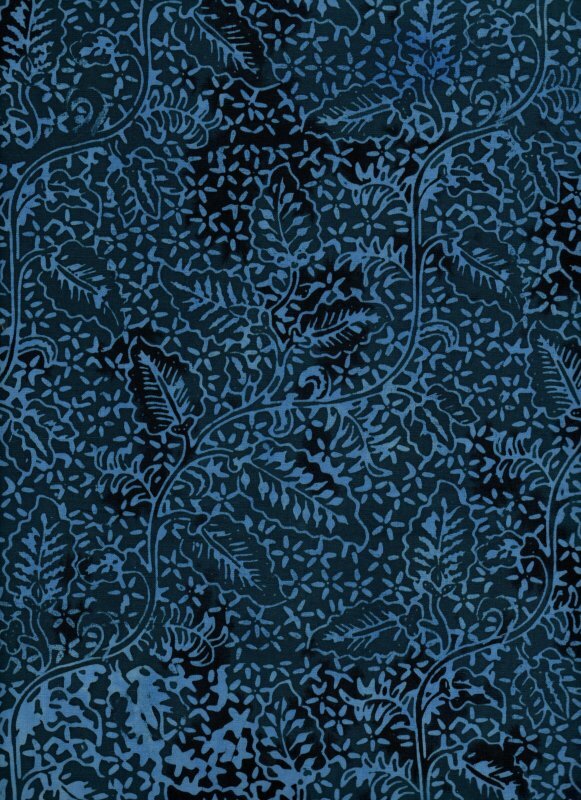 Gorgeous medium-blue leafy vines cover a deep indigo background in this hand printed batik. 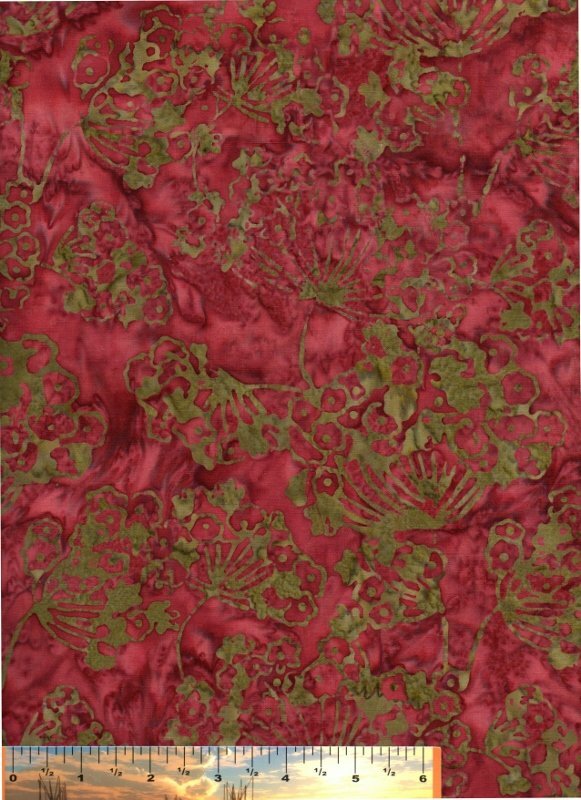 Brick red tonal batik with an olive chop milkweed design. 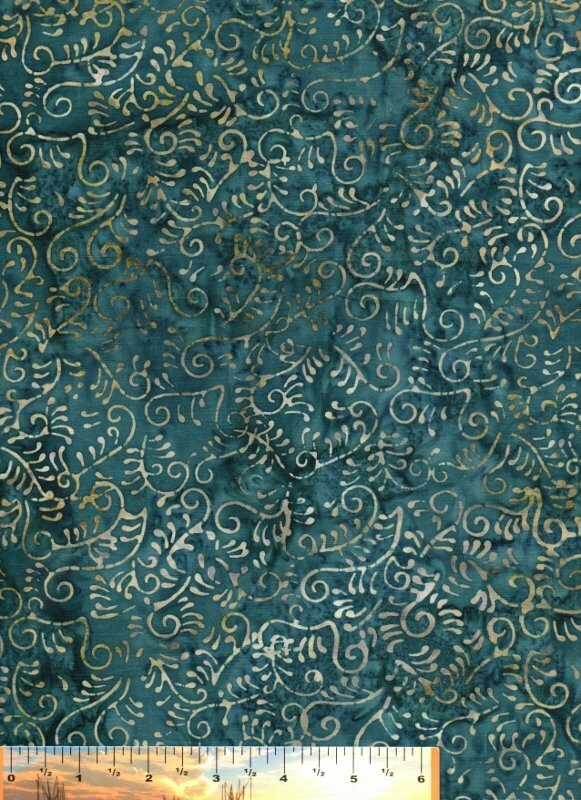 This deep teal-blue batik from Blank Quilting has taupe/beige/mushroom swirls. 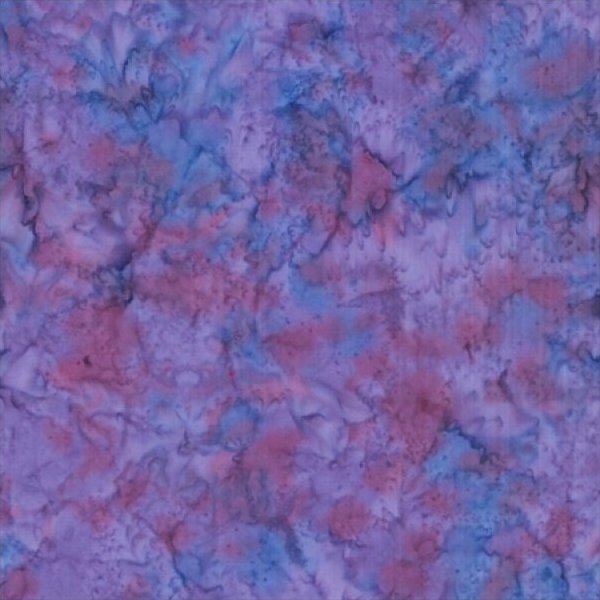 Incredibly rich, deep purple hand dye batik. 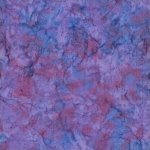 If you love purple, this is the purple of your dreams! 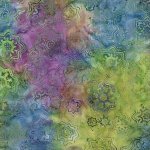 Cool purple/green/yellow multi-color background with woodblock flower stamps. 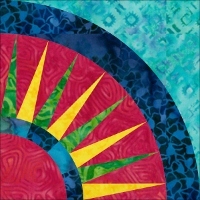 The colors in this batik reminds me of Hawaiian waters, always changing colors in unexpected ways. 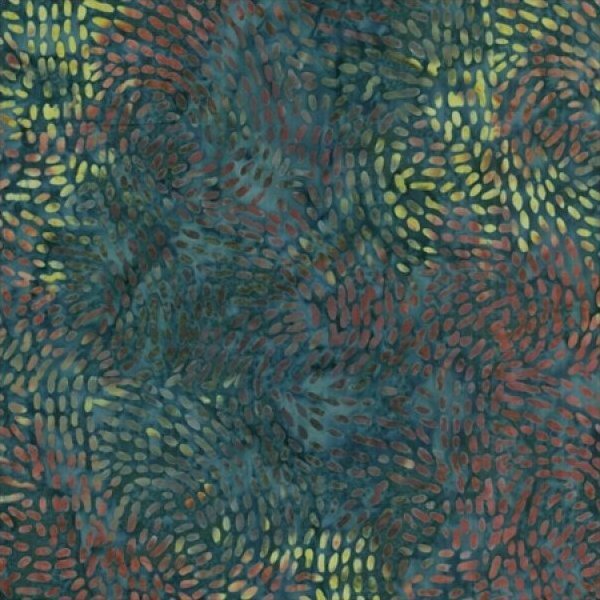 Deep blue/green/brown background with light yellowish circles overprint. 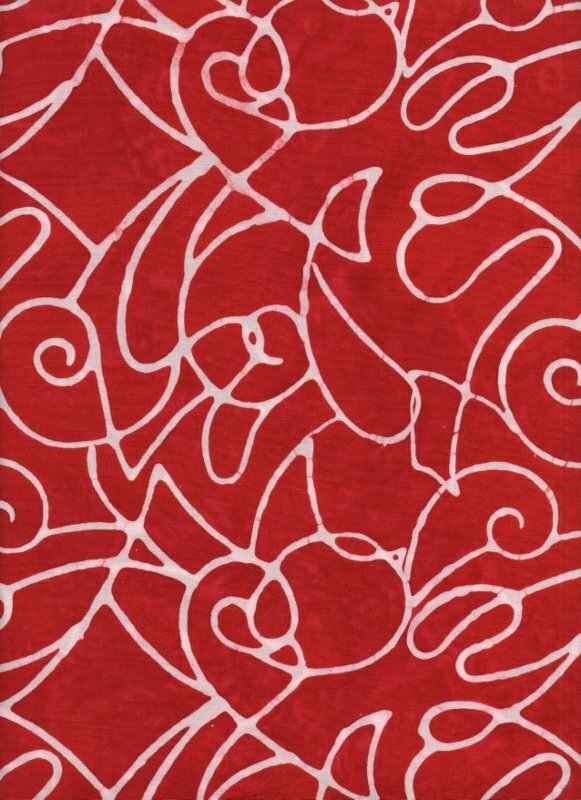 Fun batik with a Miro' feel to it. 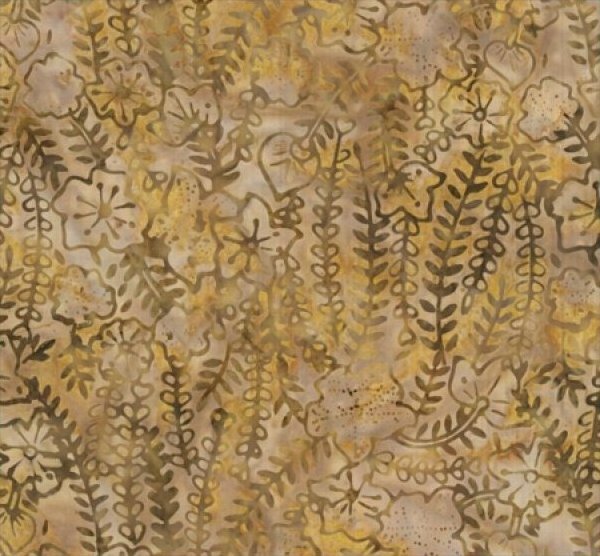 Light brown/gold mottled batik background w/brown trailing vines/flowers. 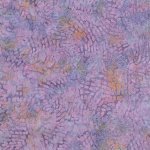 Lilac/blue batik with pink/rust/blue/green swirly overprint. 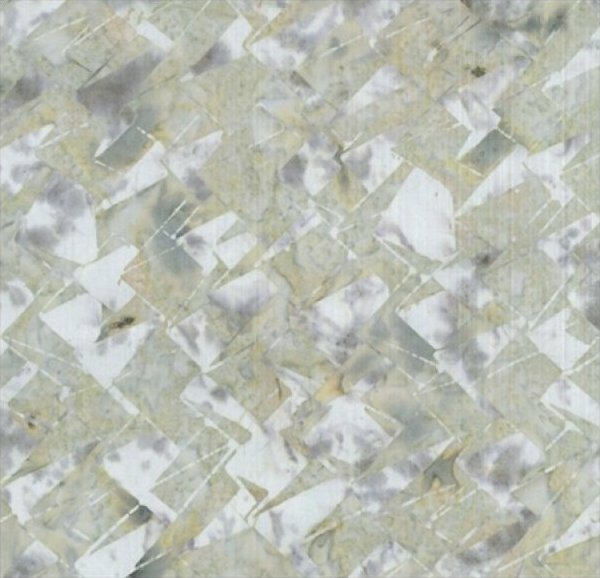 Grayish-sage mottled background with pale opal wedges. 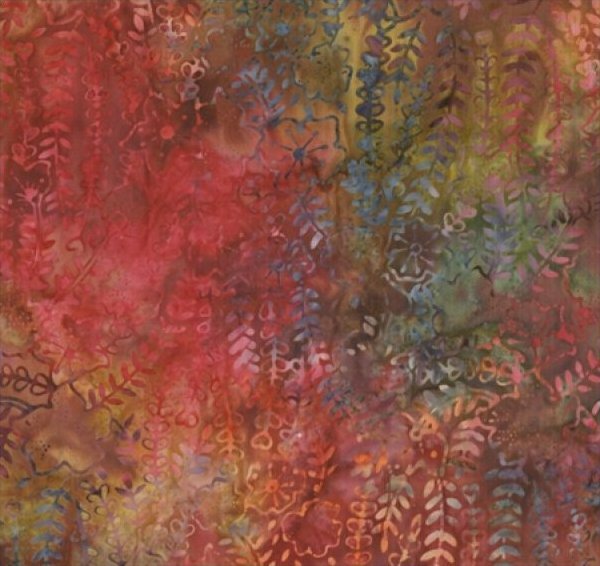 Good background batik! 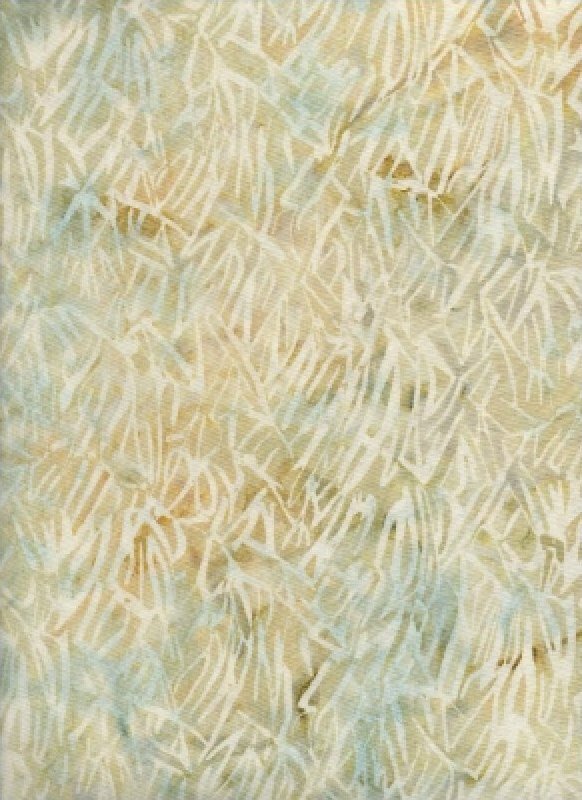 This is a wonderful light batik with a hand dyed background of pale blue, sheer beige, icy aqua, buff and more, with ivory grass blades woodblock stamped across the fabric. 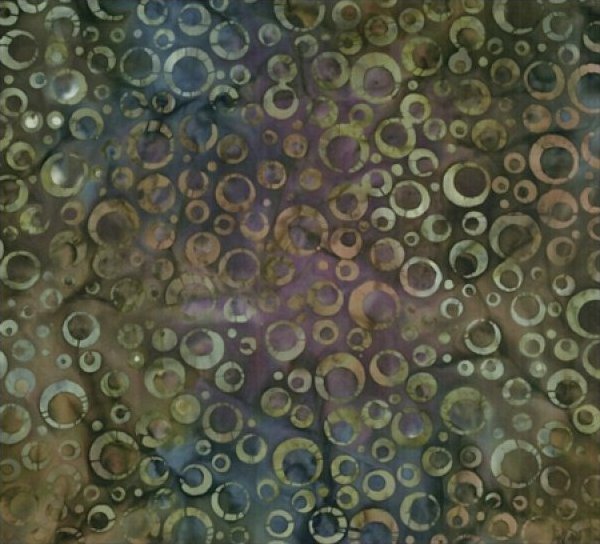 This is another great background and blender batik. 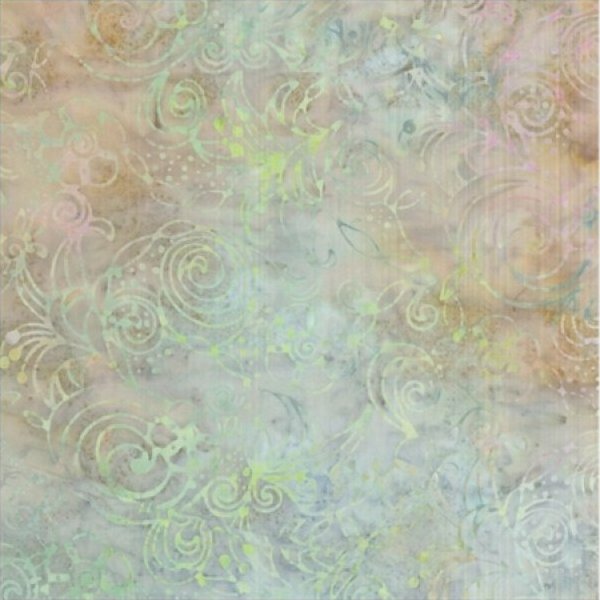 Light blues/pink/greens/peach batik with swirly floral overprint. 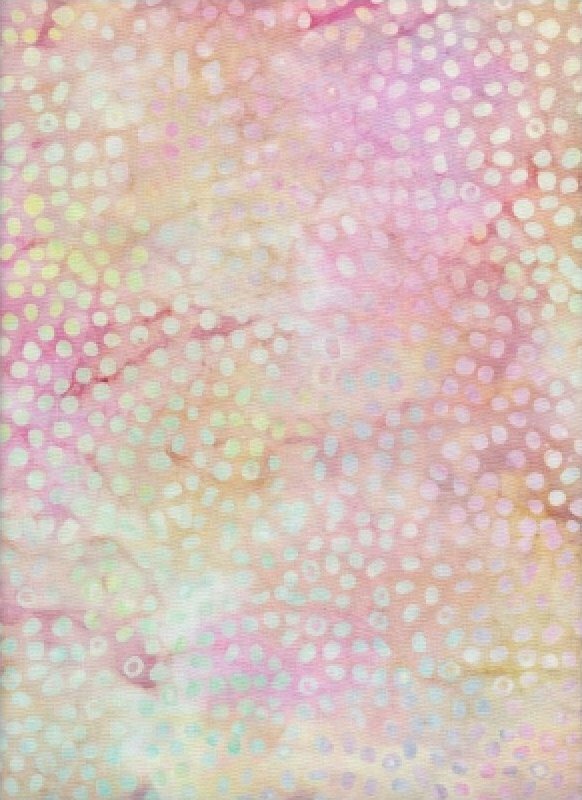 This would be great in a baby quilt, or for someone who loves pastels. 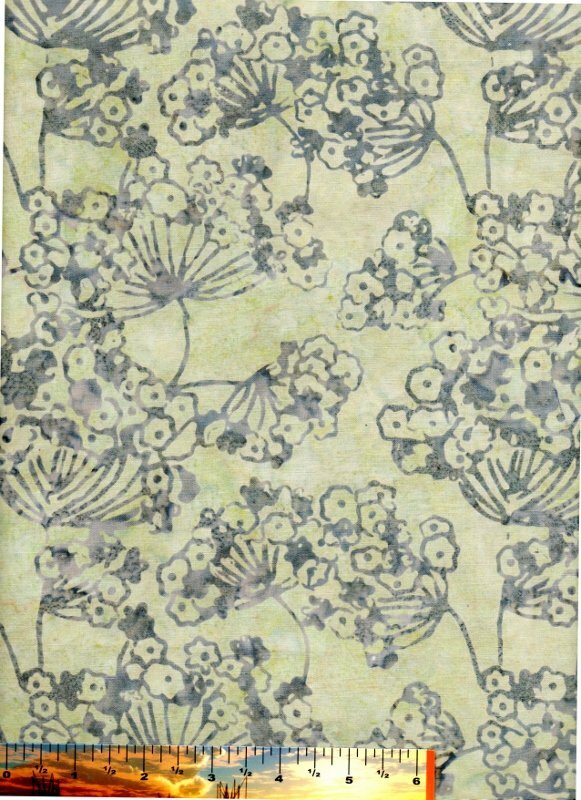 Light stone and blue background with pale opal flower overprint. 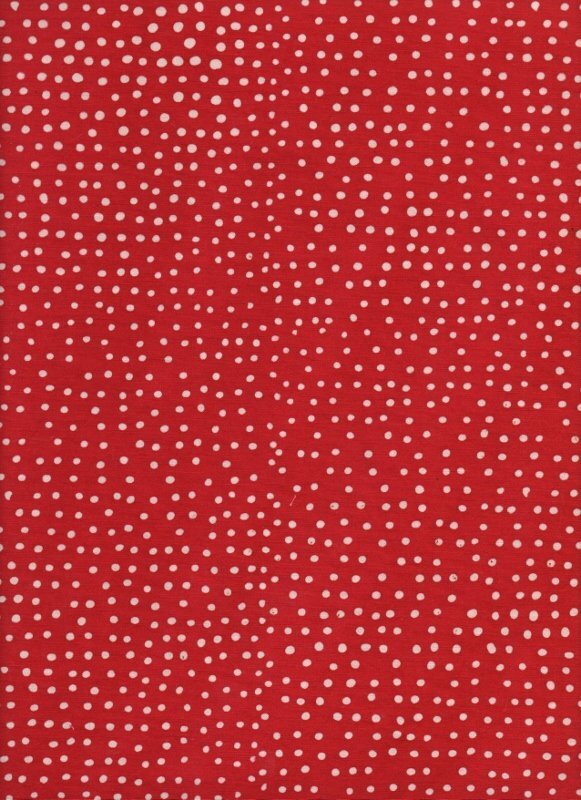 Great background fabric! 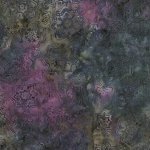 Opal is finally here! 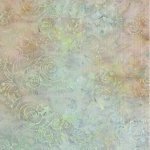 This hand dyed batik is a wonderful pastel combo of light pink, light blue, a peachy-beige and some very light yellow, all on an ivory background. 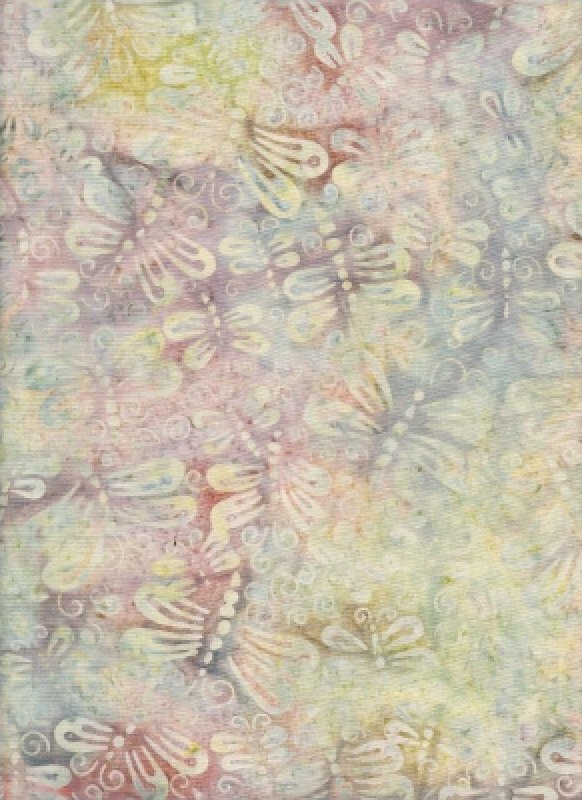 Beautifully pale, soft opal marbled background with woodblock dragonflies in ivory dancing across the fabric. 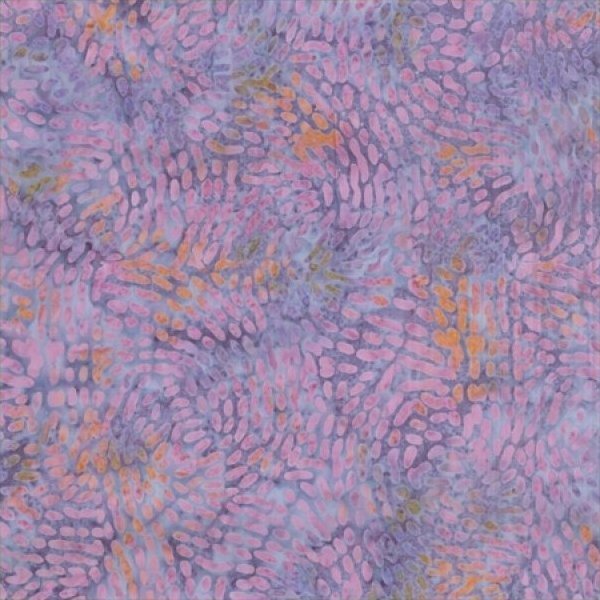 This is softly feminine, and a fabulous background batik fabric. 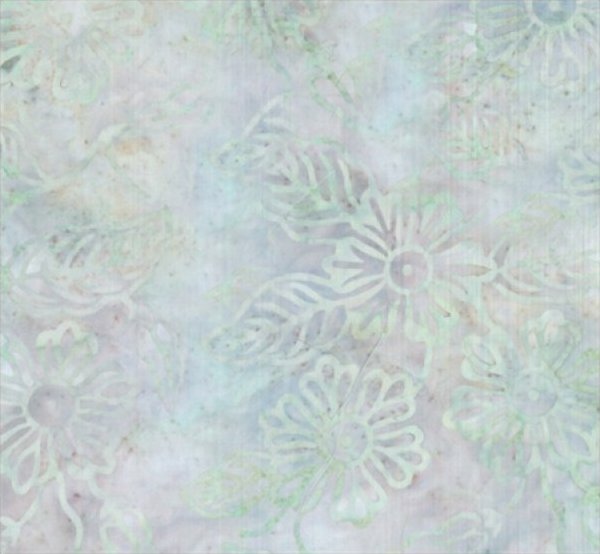 Beautiful mushroom-colored milkweeds are scattered across the pale gray-green tonal background of this batik. 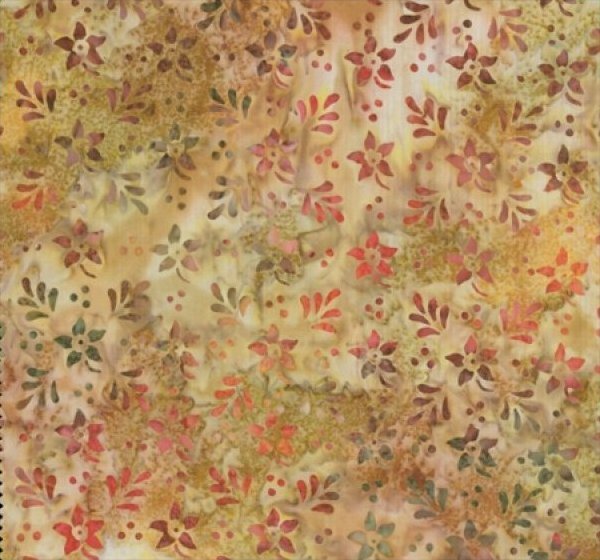 Medium goldish-brown mottled background batik w/purple/fuscia/forest green block print flowers and leaves. 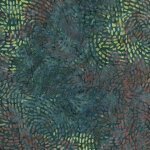 Mottled teal background batik w/yellow, dark teal, rust/green swirly block print. 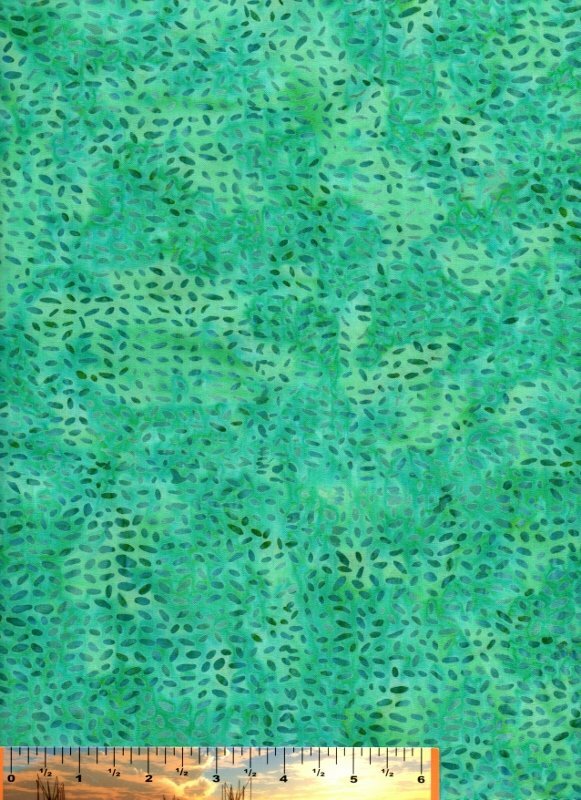 Gorgeous deep aqua/turquoise tone-on-tone batik with a tossed seeds print. 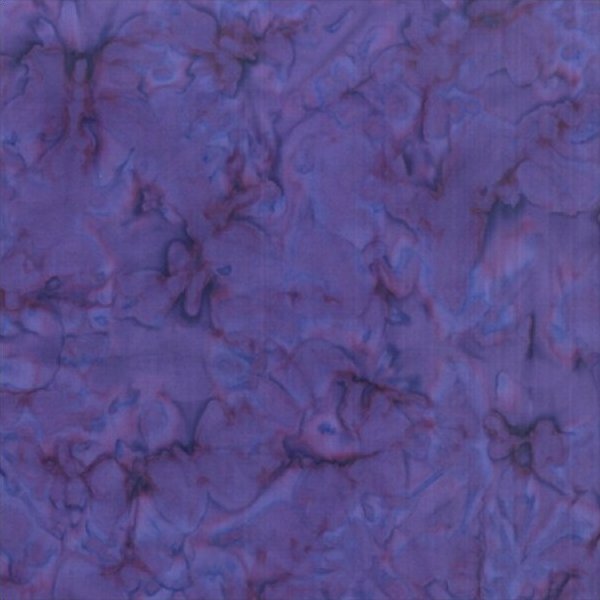 Brilliant deep violet/blue mottled hand dye batik. 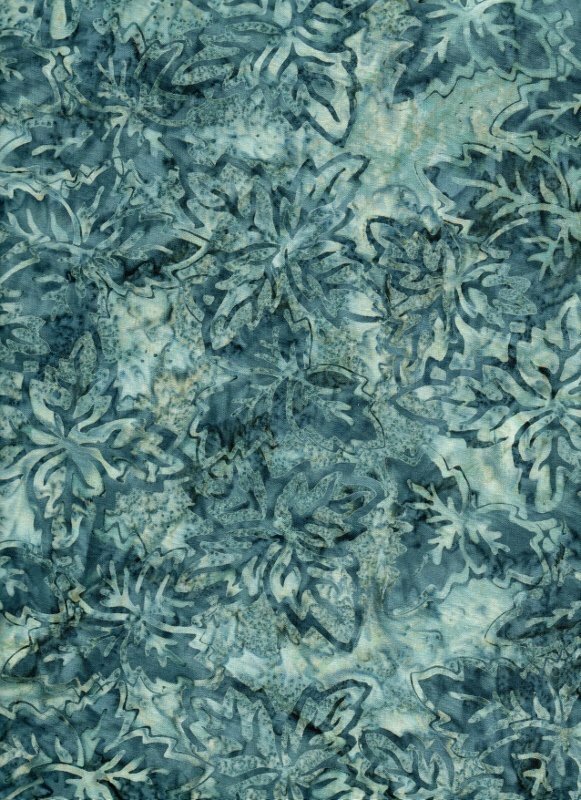 From Blank Quilting's Sumatra line, this is a gorgeous leaf print tone-on-tone on a denim-blue background. 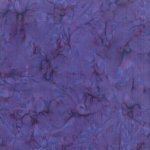 It very closely matched the "wild blue yonder" crayon in my crayon box, hence the name.